Modesto Transfer makes the process of relocating simple and stress-free. 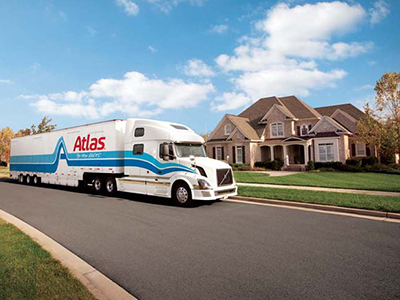 As part of the Atlas Van Lines family, you receive the highest quality and safety whether you're moving down the street or across the country. Moving can be hectic and full of drama, but it doesn't have to be. We've provided the Central Valley with high-quality moving and storage services for more than 55 years as the premier movers for the people of Modesto, Stockton, Merced and all surrounding areas. These days, with our state-of-the-art equipment, highly-trained personnel and global relocation capabilities, we can make even the biggest, most daunting relocations run smoothly and efficiently. We provide state-of-the-art training to all our employees and free in-home estimates are provided for every job. When you need capable, professional Modesto and Stockton movers, call Modesto Transfer & Storage. Call us today for a free moving estimate or for more information about our capabilities as Modesto movers. Ask about our competitive pricing programs! If you would like your free moving estimate right now, fill out our quick quote form at the top of this page! We are proud to have served the entire Central Valley for more than 55 years as Modesto and Stockton movers.